November is Senior Health Month at ERABH! November is Senior Health Month at ERABH! Do you have pets that are over 7 years of age? For the month of November, we are offering 15% off our senior wellness panel that includes blood work and urinalysis. The promotion applies to blood and urine collection fees. The senior wellness panel can detect early signs of disease when it is the most treatable. This is not to be used diagnostically in already ill pets. It is to be used for preventative medicine purposes only. Your senior pet’s consultation includes a comprehensive physical exam and a nutrition consultation, with information about senior health supplements and joint health. Call us at 604-464-3343 or Request an Appointment online today! 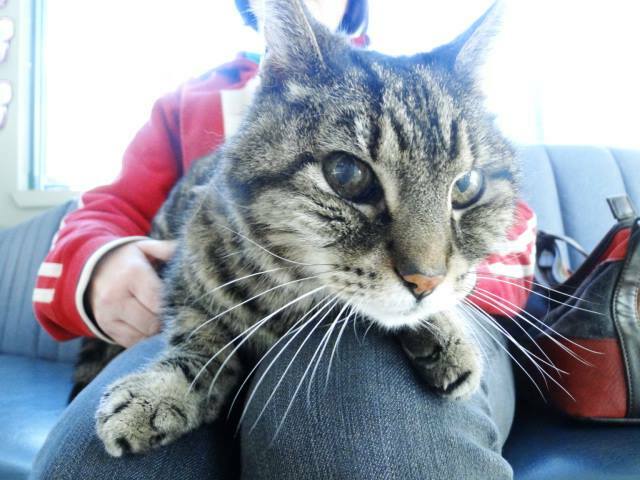 This is distinguished man is Frisco, he is wise beyond his years at 18 years of age! He and his mom visit us frequently for Cartophen injections to help his joints and mobility.